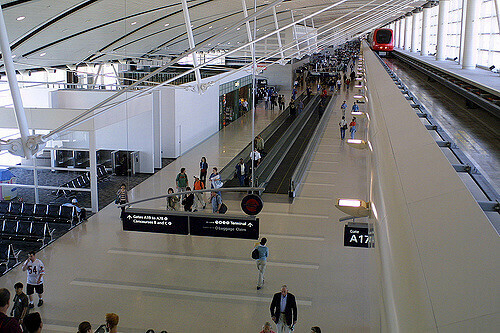 There are two terminals located on the territory of Detroit Metro Airport: the McNamara Terminal and the North Terminal that contain four concourses and 129 boarding gates in a total sum. The terminal was built on February 25, 2002, and was also known as the Northwest WorldGateway or Midfield Terminal. The terminal is used by Delta, Air Mexico, and Air France only. There are four floors, and three concourses located at the McNamara Terminal: A, B, and C, 103 boarding gates are spread through those concourses relatively. The Concourse A is also known as the Central Link Area and host the majority of the dining places. Delta SkyClubs are located in Concourse A mainly; however, there is one located on Concourse B and C as well. The ExpressTram moves people between the Concourses, the movement from one concourse to another will take approximately 3 minutes only. Other moving walkways are available at the terminal to ease the flow across the concourses. On the Lower Level of the Terminal, there is an International Arrivals Hall. Meanwhile, on the First Level, there are Arrivals Hall and Baggage Claim Area. On the Second Level, there are Westin Hotel, Parking Lots, and Ground Transportation Center. And on the Third Level, there are Check-in Desks. Westin Hotels & Resort is located in the proximity to the Concourse A. 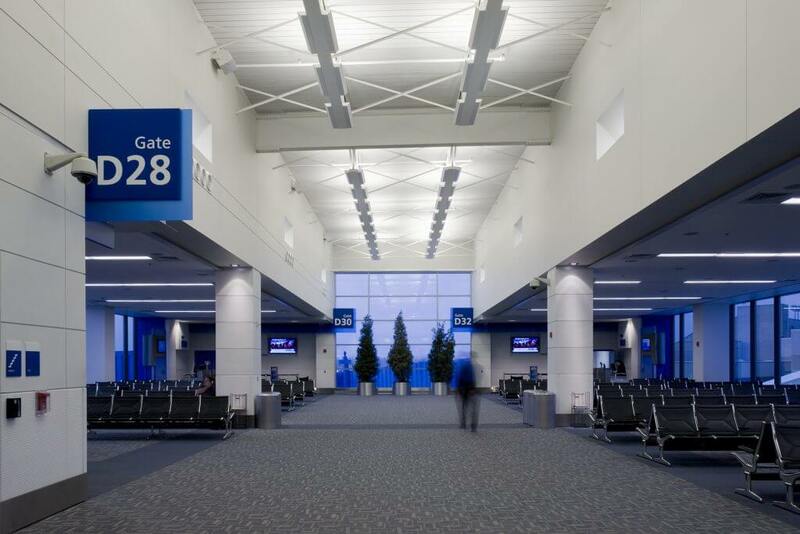 The concourse has 62 boarding gates, 12 of which are used for the international flights only. The pet relief area is provided in the Concourse A for those traveling with pets. Each boarding gate is separated into two exit configurations. Thus, the passengers arriving from the domestic flights proceed to the terminal building, while those coming outside of the United States are lead downstairs to the customs and immigration screening. The Concourses B and C have 41 boarding gates that are used for the small aircraft operations mainly. The Concourses are connected to the central Concourse A by the 700-meter pedestrian walkway that goes under the Airport ramp, and the walkway is also known as the Light Tunnel. The terminal has recently undergone certain renovations that included new electronic directories that will make it easier to navigate through the terminal. The North Terminal was opened on September 17, 2008, with the intention to replace the former Berry and Smith Terminal. That terminal continued to serve non-SkyTeam airlines. There is only one Concourse D at the terminal. It hosts 26 boarding gates. There are only two levels: lower and upper one. On the Lower Level, there are Arrivals Hall and Baggage Claim Area. On the Upper Level, there is Check-in and Security Area. Airlines that operate through that terminal are Alaska, Air Canada, American Eagle, American, Frontier, JetBlue, Royal Jordanian, Lufthansa, Spirit, Southwest, United and United Express. The Lufthansa club (lounge area) is located at the south end of the Concourse D near the Gates 7 and 8, as well as the pet relief area that was recently implemented into the terminal. The Michigan Freedom Center or USO (United Service Organization) Lounge is located near the Gate D17 and offers a space for the military men and their families.